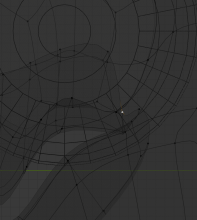 Tab into edit mode, Select a vertex in wireframe view mode (at the back of the mouth in the included .blend file), move it, select another vertex, move it also, attempt to select the first vertex again, and it will be un-selectable. This happens in more than just this file, and on multiple computers. I hope I'm submitting this correctly. This is my first time submitting a bug to the Blender Foundation. Thanks. T58498: Selection becomes inaccurate in specific areas after (seemingly) random amount of time causing the need to switch from Edit mode, to Object, then back to Edit mode to get it to work again. T58534: Difficulty in selecting vertices, arrests and faces in "smaller areas"
T57125: Mesh element selection does not work when using duplis. Philipp Oeser (lichtwerk) assigned this task to Campbell Barton (campbellbarton). Can confirm (also tried different OpenGL selection methods in User Preferences to no avail), seems like something is not updated in the selection buffer [not familiar with that part of the code though...]? @Campbell Barton (campbellbarton) : mind having a look? Philipp Oeser (lichtwerk) mentioned this in T57781: Lasso and Box Select tools does not work properly after scale. Philipp Oeser (lichtwerk) added a subscriber: Denis Gualtieri (SINED). Maybe @Clément Foucault (fclem) knows, too? Philipp Oeser (lichtwerk) added a subscriber: Chrischan (Chrischan). Philipp Oeser (lichtwerk) added subscribers: edwin hernandez (juanito49), Jacques Lucke (JacquesLucke). Jacques Lucke (JacquesLucke) added a subscriber: D. A. (DNCLCFW). Philipp Oeser (lichtwerk) merged a task: T58498: Selection becomes inaccurate in specific areas after (seemingly) random amount of time causing the need to switch from Edit mode, to Object, then back to Edit mode to get it to work again..
Philipp Oeser (lichtwerk) added a subscriber: Dan (MostHated). Philipp Oeser (lichtwerk) added a subscriber: Michel Lacerda (michellacerda). Philipp Oeser (lichtwerk) added subscribers: Victor Stoll Toaldo (vstoaldo), Sebastian Koenig (sebastian_k). A workaround for this bug is switching out and in of edit mode. I assigned TAB to change between modes instead of opening the Modes Pie, so it's a quick double tab to fix. 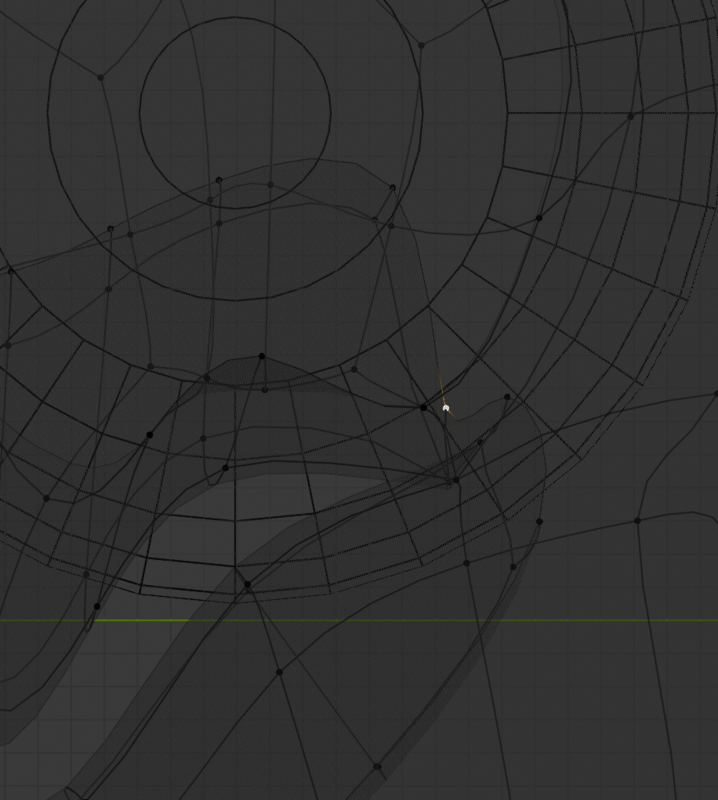 Another thing that I can add is that this isn't specific to vertices. This bug also affects edges and faces. Philipp Oeser (lichtwerk) added a subscriber: Yael Valle (AlphaAngles). Philipp Oeser (lichtwerk) merged a task: T58753: Can't select vertex/face when "Show whole scene transparent" is enabled and you have moved a face. Philipp Oeser (lichtwerk) added a subscriber: Stefan Persson (Imphenzia). Philipp Oeser (lichtwerk) merged a task: T57137: Unable to choose vertex after clicking snap transform (retopo). Philipp Oeser (lichtwerk) added a subscriber: eric (ebi). Campbell Barton (campbellbarton) added a commit: rB095f9f26aabc: Fix T57770: Edit-mesh wireframe cage select fails.